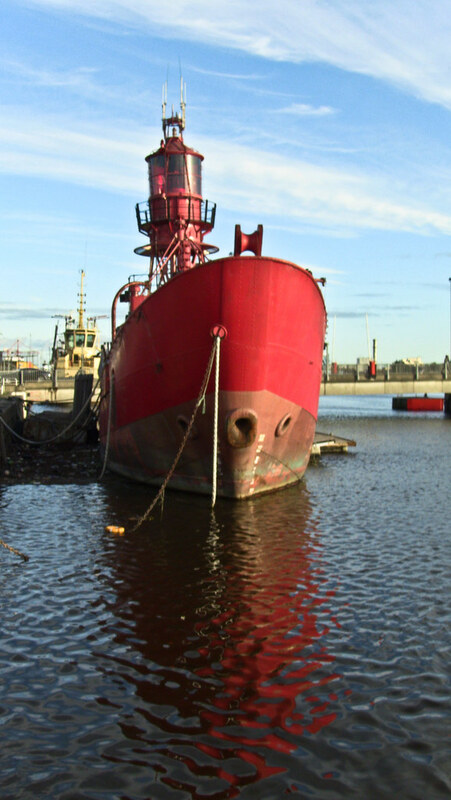 If my source is correct this little red ship was scrapped back in 2012 … what a pity! 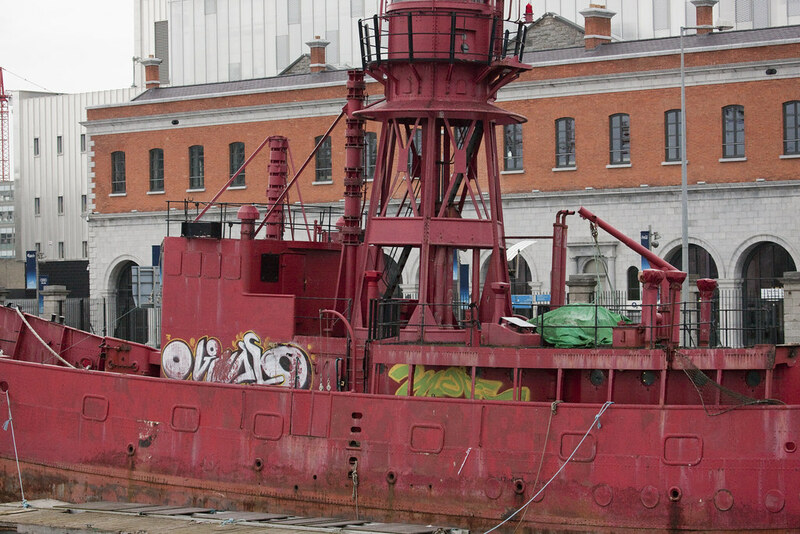 Dublin docklands property developer Harry Crosbie has been refused permission to relocate the former lightship Kittiwake in front of the O2 Theatre, according to a report in the Irish Times. 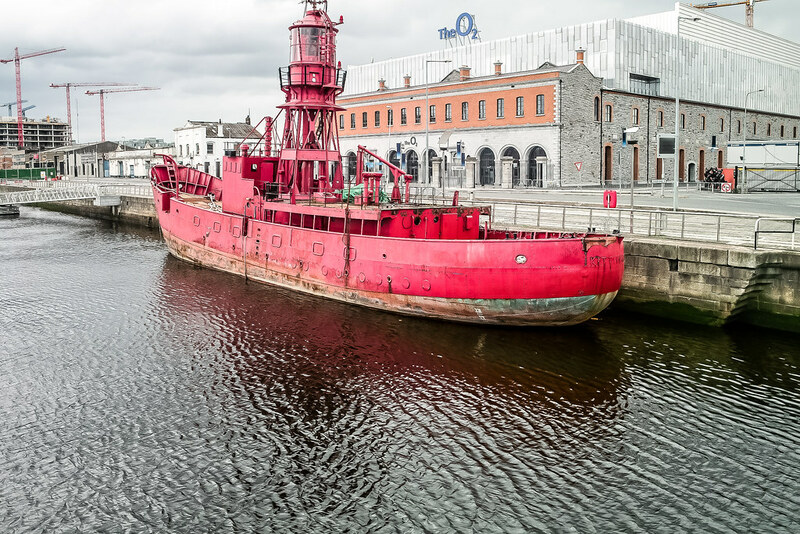 Crosbie had intended to convert the 1959 built Kittiwake into a café and bar after raising the vessel from her River Liffey berth and position onto the campshire of North Quay Wall, opposite the music venue. Dublin City Council told Crosbie that consent for the use of the campshires for the bar had not been agreed to by the board of the Dublin Dockland Development Authority (DDDA), which owns the quays, "and that said permission will not be forthcoming". 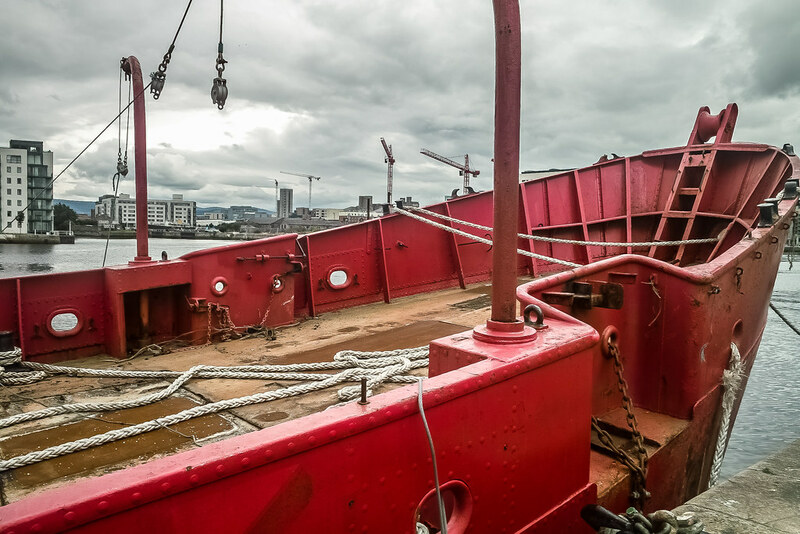 Old Lightship (Kittiwake - There Must Have Been Two with The Same Name). 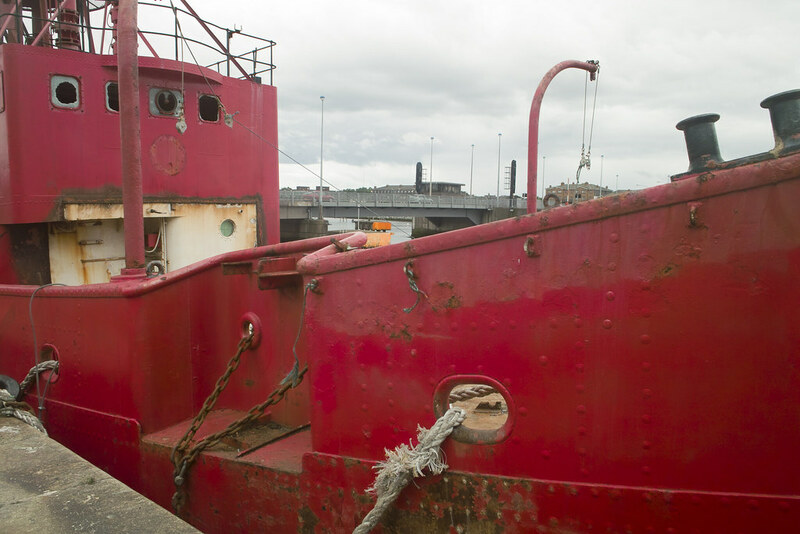 I was delighted to read in the Sunday Times that this little red ship could be used as a tourist attraction. 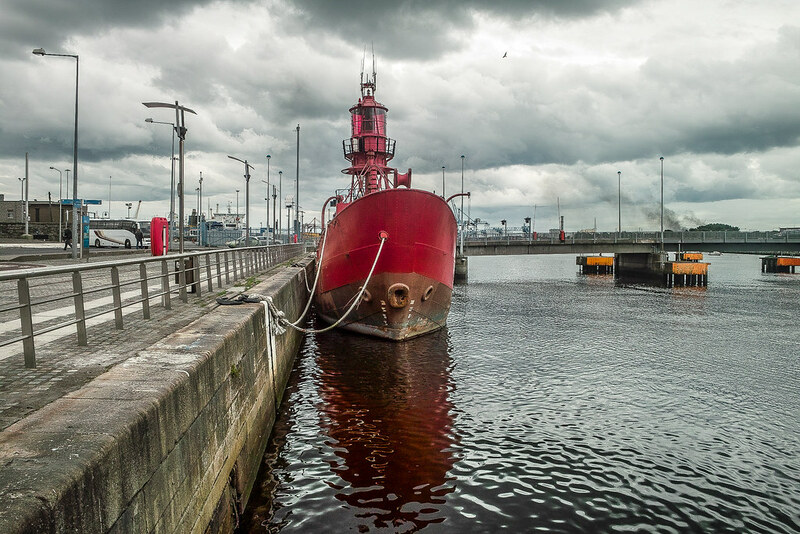 According the the newspaper Harry Crosbie, owner of the Dublin 02, is seeking permission from Dublin City Council to raise the 500-ton lightship, Kittiwake and place on the quayside opposite The 02 Theatre. 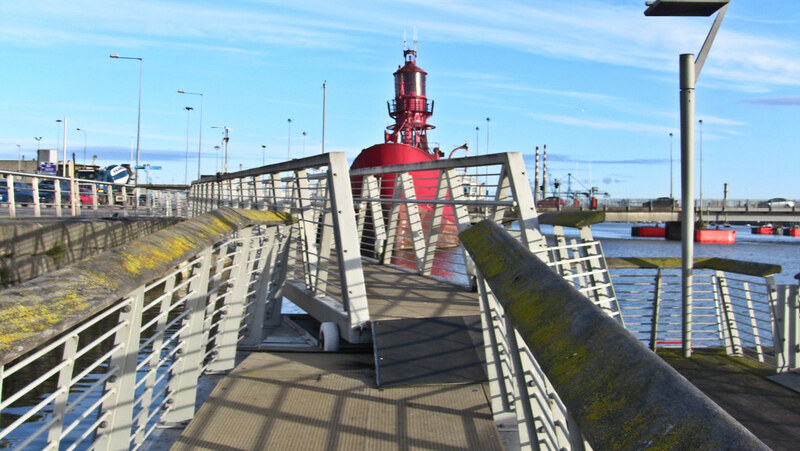 Currently the lightship is berthed nearby the East-Link road toll bridge and acts as a notable floating feature to countless daily commuters. 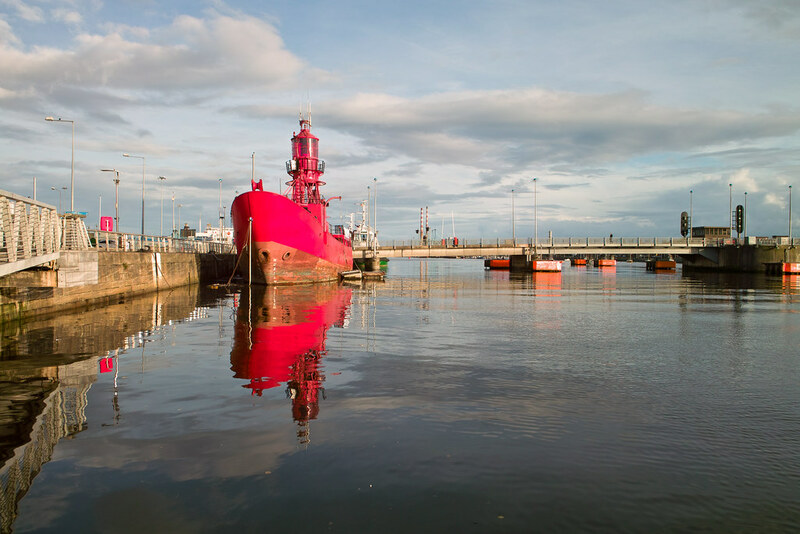 I was very surprised to read the the Commissioners of Irish Lights (CIL) sold the 1959 built lightship to Harry Crosbie more than three years ago. 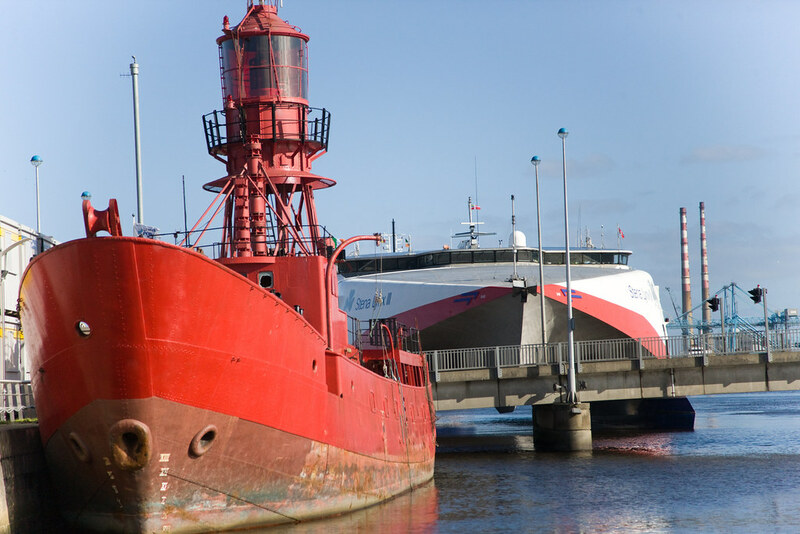 If Harry's plan for the the former lightship is given a thumbs up, the vessel would act as a "welcoming point" for cruise tourists. 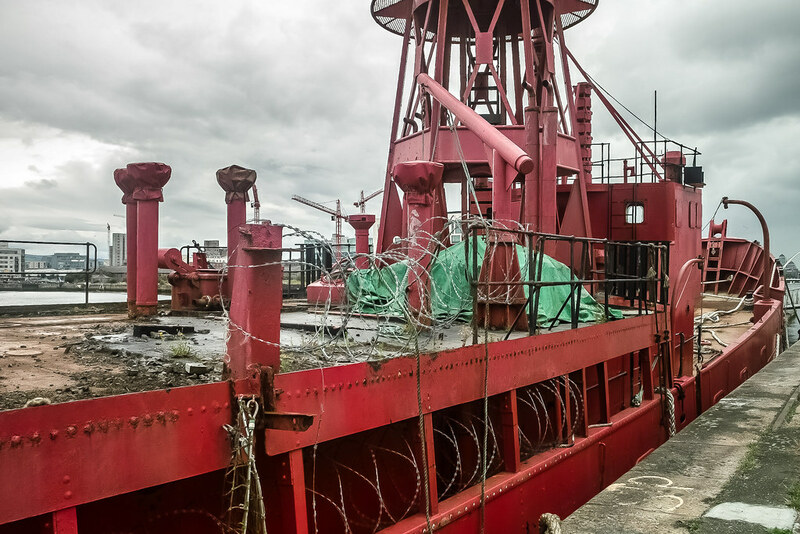 Subject to planning permission, the lightship would undergo a re-conversion project to create an open-plan café bar for a period of five years. The veteran vessel would also have its lighthouse light restored and would "beam" across the docklands and entertainment venue. 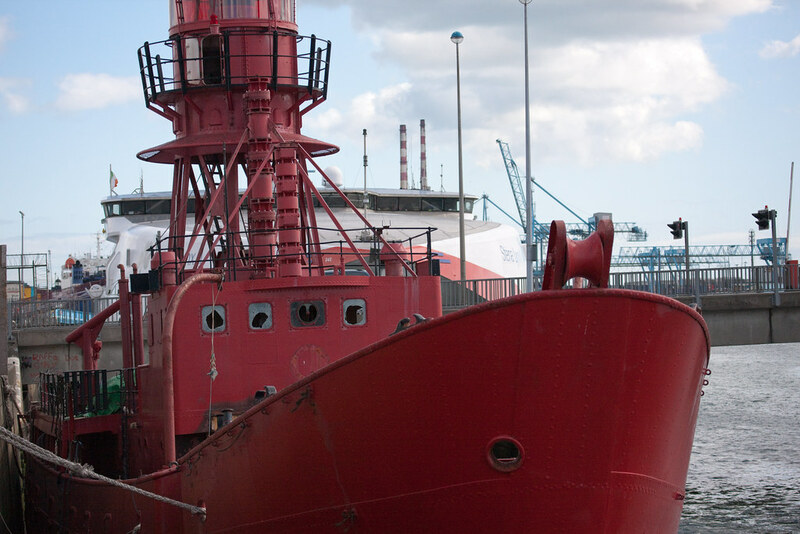 The lightship would maintain its customary 'red' hull with Kittiwake written in neon on the side. Built 1909/10 by Dublin Dockyard; length 100 feet, breadth 24 feet depth 12¼ feet; construction iron shell and floors, steel framing; five watertight bulkheads; steel mast and fixed lantern; mizzen mast carrying day mark; cost £7,230; sold in 1966 to T.E. McSweeney and converted into a Youth Adventure Sea Training Vessel, renamed Hallowe'en. Converted to a schooner and renamed Artic Penguin sold to Mr D. Norris, 1982. Built 1924/25 by H. Robb Ltd, Leith; length 102 feet, breadth 24 feet, depth 13¼ feet; construction iron shell and floors, steel framing; five watertight bulkheads; steel mast and fixed lantern; mizzen mast carrying day mark; cost £15,650; sold in 1970 to the Scout Association of Ireland. Moored in Dun Laoghaire Harbour. Subsequently moved to Grand Canal Basin. 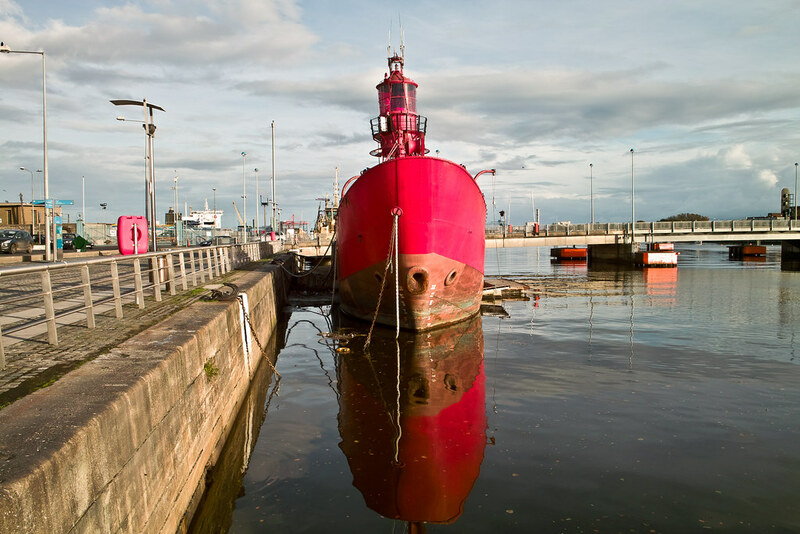 Painted with luminous paint and moored in Scotsman's Bay, Dun Laoghaire for Dorothy Cross's 'Ghost Ship' (International Nissan Art Project Award) in February 1999. Returned to Dublin Port. Purchased by James Tyrrell and moved to Arklow in 2000.